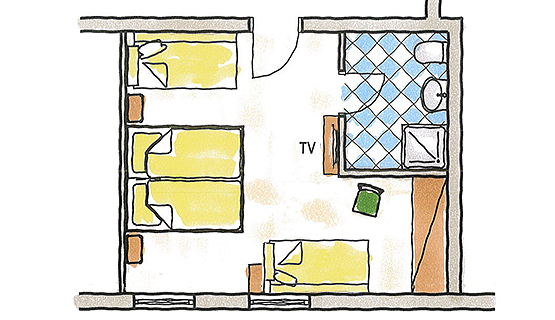 A single room offers enough space for one person. The comfort double room offers enough room for 2 adults and 1 child. The comfort room can accommodate up to 3 people. 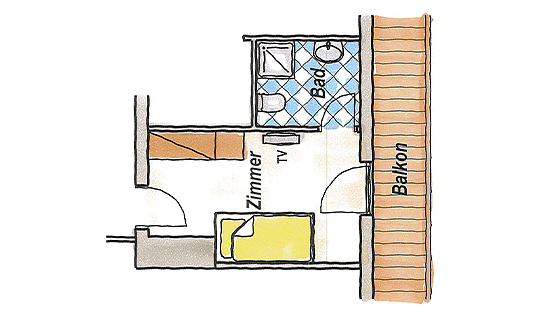 The four-bed room can accommodate up to 4 people. offers enough room for 2 to 3 persons. 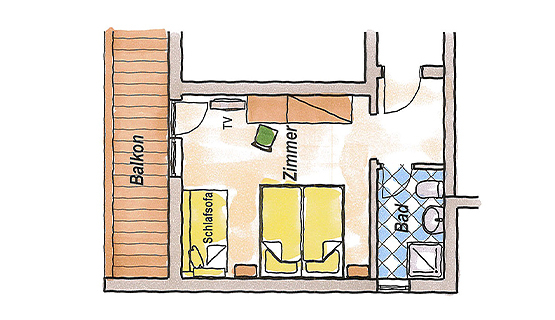 The family studio offers two separate bedrooms with 2 double beds each for a maximum of five people. The spacious tower room has a cozy sitting area in the bay window.